Michelle Lamphere from South Dakota, one of The Ted Simon Foundation’s Jupiter’s Travellers, rides a 2011 Kawasaki KLR 650 fitted with ODYSSEY II panniers. In June 2015 Michelle completed a two-year journey to Ushuaia via Newfoundland. I wanted hard luggage that would be secure at border crossings in Latin America since I would have to be away from the bike for extended periods of time. I also carried a soft gear bag which I put into a PacSafe, but my most valuable items were kept in the ODYSSEY II panniers for peace of mind. What countries have you traveled through? USA, Canada, Mexico, Belize, Guatemala, Honduras, El Salvador, Nicaragua, Costa Rica, Panama, Colombia, Venezuela, Ecuador, Peru, Bolivia, Chile, Argentina, Brazil, Paraguay, and Uruguay. What were your favorite experiences during your motorcycle journey? There are so many it would be hard to choose. My favorite ride would have to be in the Cordillera Blanca of Peru, in Huascaran National Park and above the Llanganuco Lakes. We crossed a pass high above a set of rocky and wet switchbacks. One map called it Portachuelo, but most maps didn’t have a name for it. We stopped for a photo of the glaciers in the distance on the peaks that surrounded us in every direction. It was a hard day for me, challenging all my skills and then some. But the incredible feeling of accomplishment of having made it up here for this spectacular view was worth every bit of the work it took to get there. My favorite experience might have to be crossing from one continent to another, from North America to South America, on a sailing ship, the Stahlratte. Watching my bike being hoisted up with ropes thrown over the masts and later drifting through turquoise waters with my bike lashed to the deck getting soaked with sea-spray seemed surreal at the time. I’m planning to ride part of the American Great Divide Trail in September 2016 and hoping to ride across Europe and Asia to Mongolia in a couple of years. 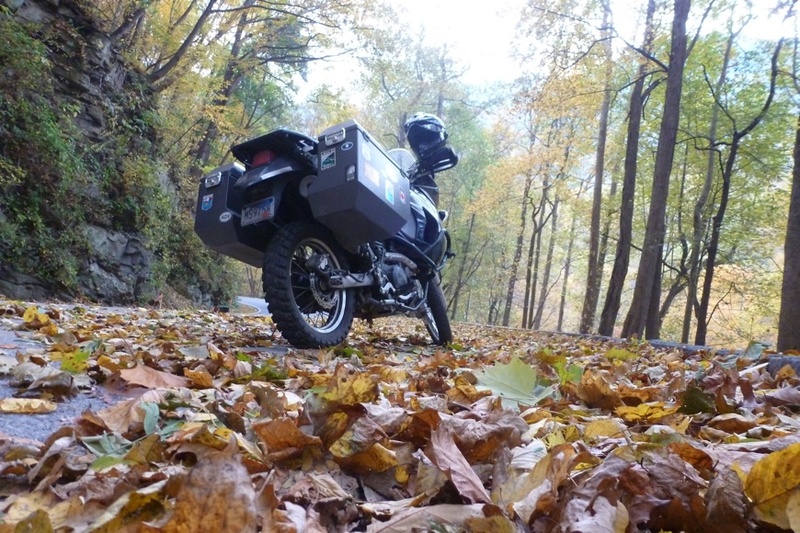 What’s your favorite thing about your ODYSSEY II panniers? They can take a beating, which sadly I seem to give them fairly often! My boxes slid down a gravel road in Labrador, got dunked in a slimy green water crossing in Mexico and hit the deck in sand and salt flats in Peru, Bolivia and who knows where else. They never failed me.